As Senior Project Manager, Brandon manages all aspects of projects on behalf of our clients. He is responsible for buy-out of subcontractor work, cost controls, and scheduling. 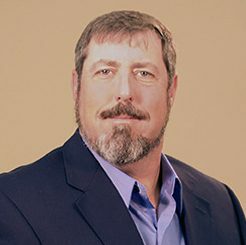 He specializes in quality assurance from award to punch list, and is well-versed in dealing with the daily requirements to keep a project on schedule and on budget. Coordination of a project with clients, store managers and nominated subcontractors are commonly included in his tasks. Safety compliance and reporting are considered essential in his daily list of priorities. Prior to his career in the construction industry, Brandon honorably served in the United States Army for six years. During that time, he worked as a telephone central office repairman, radio frequency repairman, and a generator repairman. The self-discipline and leadership skills Brandon acquired in the Army coupled with his 23 years experience in the construction industry has given him the ability to successfully manage large projects involving a variety of different individuals and circumstances.